With the exhibition „Uzbekistan: Shifting Knowledge“ The Bumiller Collection presents its first show dedicated to one specific country, its cultural heritage, traditions and contemporary spirit. In this special case it is Uzbekistan. A country located directly on the silk road and therefore a historic interface of knowledge. Our aim will be to provide the audience with an aesthetic insight into its past, present and future. Like always we combine antique objects from our collection with contemporary artworks by a carefully picked artist and display them side by side, so as to trigger fresh channels of thoughts, to allow for deeper systems of understanding and to proceed and to seek inspiration through the art of intervention. 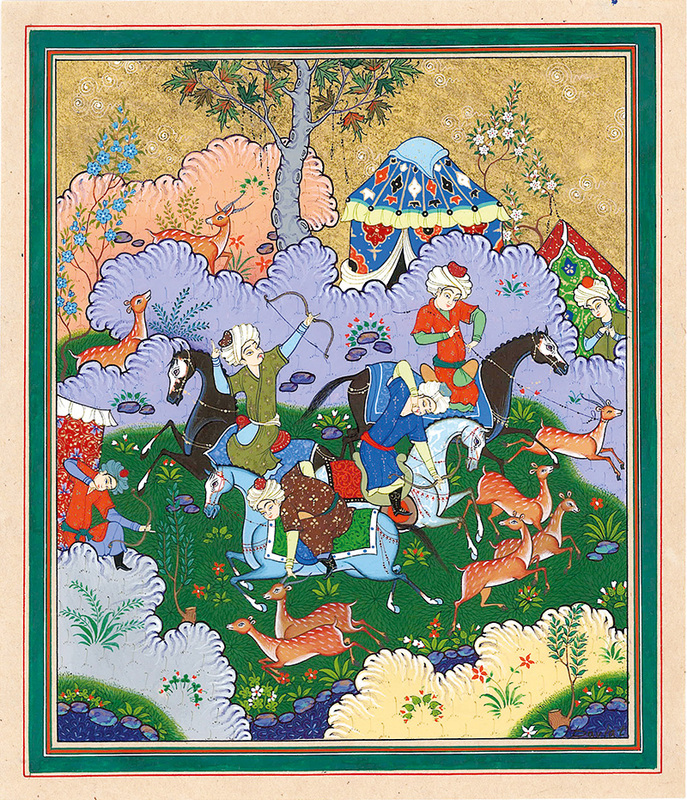 This show’s contemporary artist is the Uzbek miniature master Davlat Toshev. He has chosen to devote his life to this traditional craft which has been carried through numerous generations of humans, across centuries and diverse cultures. His artworks are beaming with color, detail and passion for this art form. They seem fascinatingly simple in their beauty but complex in their detail and sharpness. In my eyes they seem absolutely ready to be explored by an international audience, allowing the stories to unfold and travel beyond the borders of Uzbekistan. 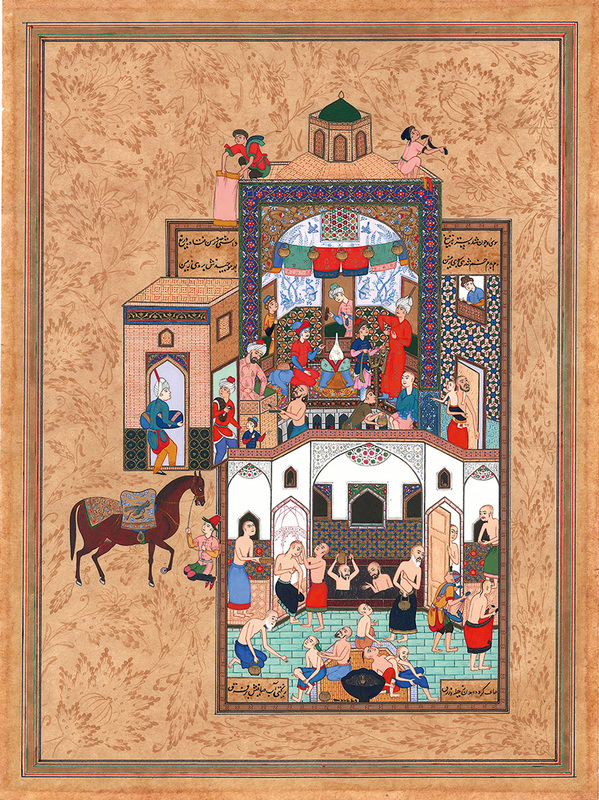 The Bumiller Collection is very proud of its Uzbek exhibits which are presented in this show for the first time on their own and together as a defined group. Furthermore, the displayed objects are included in the groundbreaking publication „Cultural Legacy of Uzbekistan in German Collections“ which was produced by a cooperation between the cultural departments of Russia and Uzbekistan. The Uzbek Metalwork-Expert Jangar Ilyasov firstly classified and then depicted the Uzbek objects of our collection on display in an essay in this book. Through the work for this book we decided to dedicate a whole exhibition to Uzbekistan. In my view, our singular ceramic piece displayed from the collection, a plate probably from Samarkand, is one of the secret stars of the show. 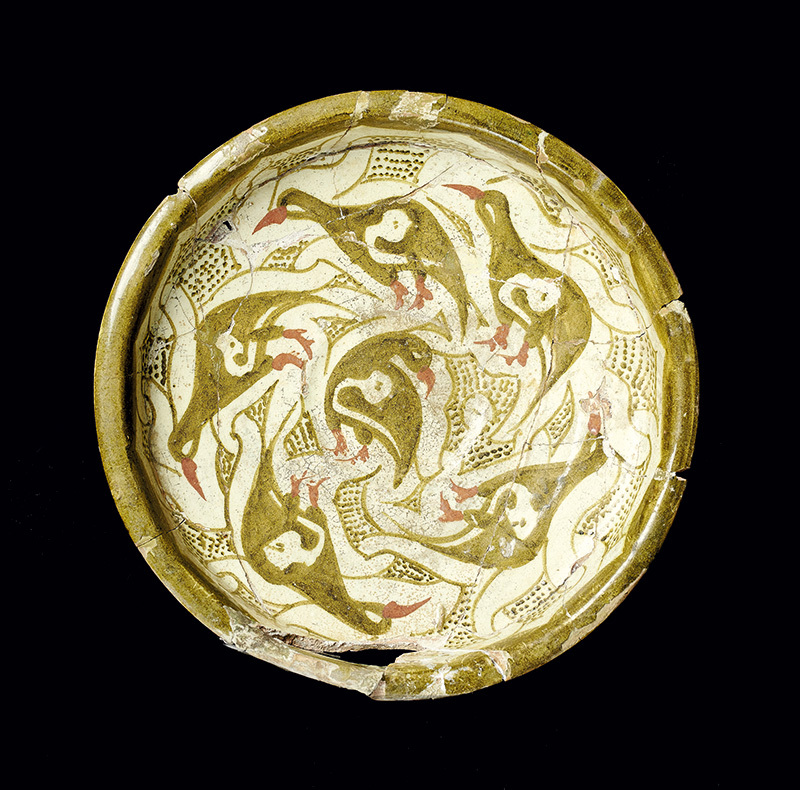 Not only is it rare and can be dated back to the 10th century, but it is also outstandingly crafted showing partridges in olive green with red beaks and feet. I especially cherish the conscious decision of the unknown artist to let a group of five partridges set up a circle around a single one in the middle. The group seems to move forward and rotate from right to left, reminding me of a lifecycle through which a link is given to the title of this exhibition. The partridge in the middle, around which this dynamic forward movement takes place, I associate with the value of each individual as an important part of the whole process of shifting knowledge within a society, a culture or even in humanity itself.